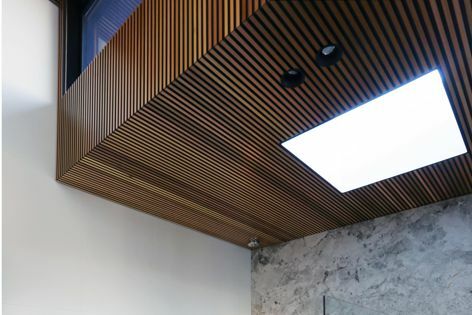 Castellation interior cladding brings the warmth of Western red cedar to interior spaces. CSR Himmel is the exclusive Australian distributor of Cedar Sales’ Castellation interior timber cladding in ‘Mocha’ and ‘Sago’ colour options. Architects and designers can bring natural warmth and comfort into residential and commercial spaces with this Western red cedar panelling.